London’s vibrant food offering is one of the most exciting and adventurous in the world. The capital’s thriving restaurant scene along with an ever-evolving market and pop-up culture makes London a buzzing hive of serious foodie favourites. From a Negroni Fountain popping up at The Drift Bar in Aldgate to the Instafamous Unicone at Milk Train Café in Leicester Square, summer 2018 promises to be deliciously diverse whichever part of the city you’re in. To assist you on your quest across the capital and ensure you don’t miss a single mouth-watering moment, we’ve created the Food Tube map – with every stop you’ll need to try everything from this month’s Banana Mousse with Rum Caramel dip at Hip Chips to the Liquid Gold Latte at Farmgirl. London boasts some of the most incredible and varied vegan and free-from offerings in the country. A trip along the Central line from Notting Hill Gate to Oxford Circus is a must for any free-from foodie. Starting at Dirty Bones, sample their notorious Mac Daddy Burger, a Moving Mountains® plant-based burger topped with vegan mac and cheese and espresso-spiked BBQ sauce. 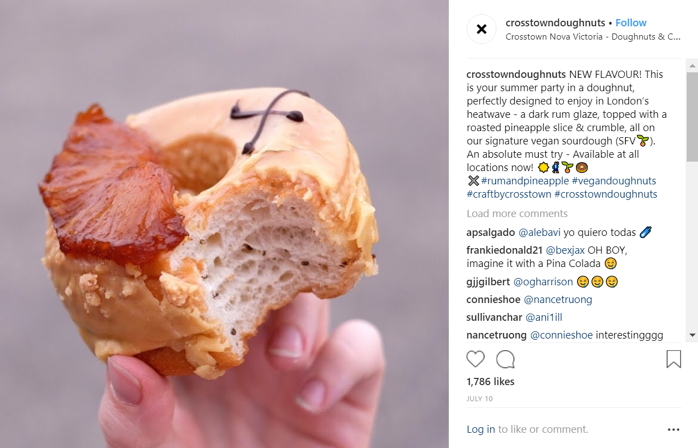 Next, move on to Crosstown in Bond Street to enjoy an array of vegan doughnut options including the seriously summery rum and pineapple. Finally, cool off with Fro-Yo at Yorica in Oxford Circus; with four flavours to choose from, including Mellow Matcha and Chilled Out Chocolate, there’s even a selection of toppings and sauces to complete your free-from treat! For Instagram enthusiasts, the cities eclectic ‘gramworthy’ delights are in abundance along the Piccadilly line. 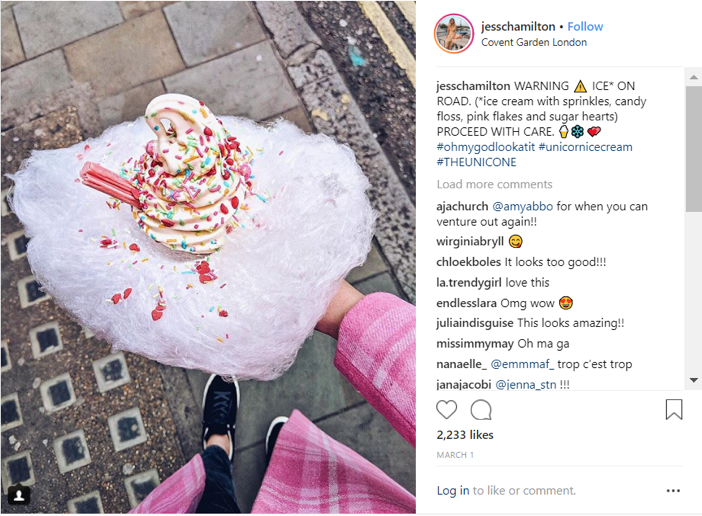 Starting in Leicester Square at the Milk Train Café, the Unicone is this Summer’s latest addition to the Unicorn craze with a soft-serve ice cream cloaked in a cloud of cotton candy, and showered in rainbow coloured sprinkles. If you’re feeling a little more adventurous, head to Bubble Wrap in Piccadilly Circus to try their new Avocado Egg Bubble Waffles, or drop by the “Distinctive and stylish elegance” of the Elan Café in Green Park for an array of Rainbow Lattes which include their ‘Jade’ Japanese matcha green tea and the ‘Ruby’ beetroot and ginger latte. 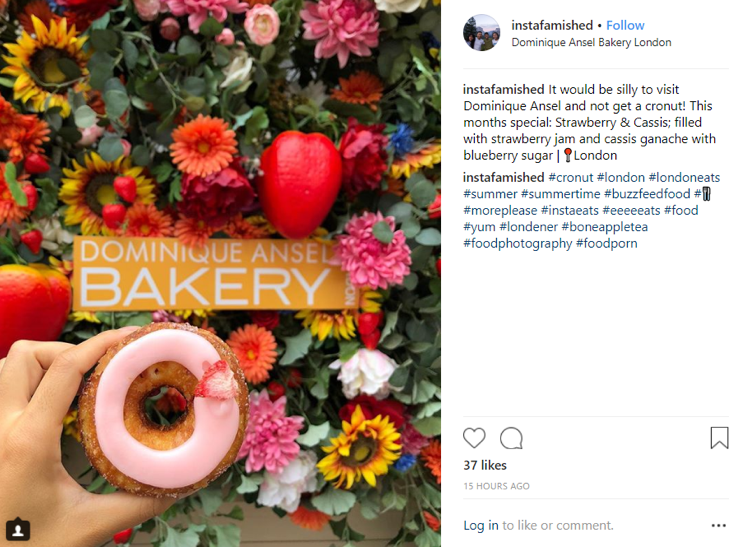 Finally, no Instagram expedition is complete without a visit to the famous flower display at the Dominique Ansel Bakery to pick up the world-renowned signature creation, the Cronut. August’s limited edition flavour is Pineapple & Banana; just take our money! So, why hang about? 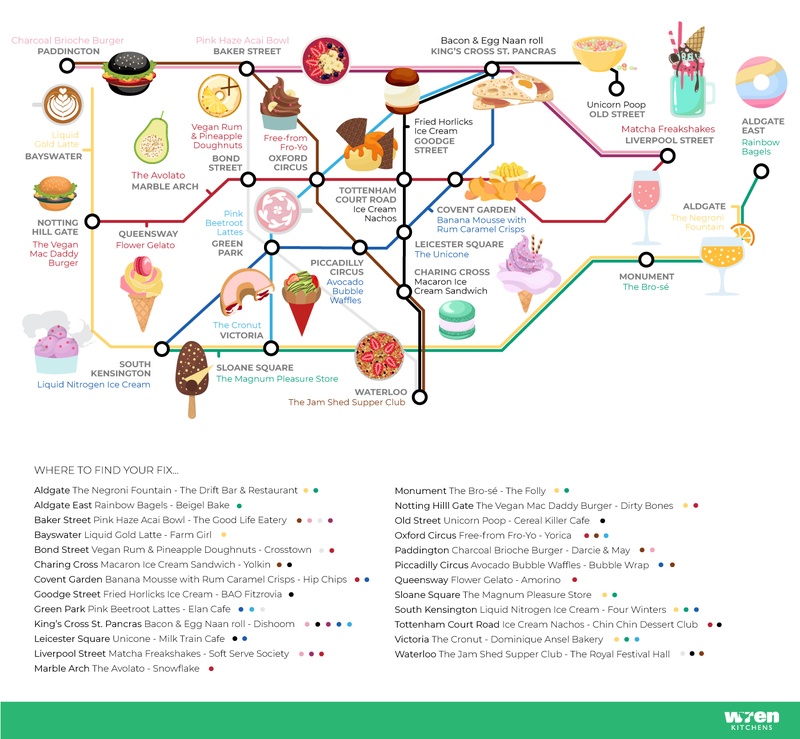 Study the Food Tube Map in full here, plan your dream Instafamous foodie route, grab your partner in crime and take a trip your taste buds will never forget!